In this award-winning mystery, a scorching Las Vegas summer is about to get even hotter. Aspiring journalist Copper Black has just found out that her boyfriend is responsible for his not-quite-ex-wife's pregnancy. An unexpected house-sitting job at a notorious Las Vegas "party house" should provide not only a private swimming pool but also much-needed distraction. While researching a story about an exclusive private school, Copper accidentally discovers the dead body of the school's beloved founder. Now involved in a high-profile murder investigation, Copper turns to her brother, a civic-minded pastor who is overseeing the construction of a center for the homeless. An Indian medicine man claims the site is a sacred burial ground, attracting hordes of protesters. As she tries to solve the murder, help her brother, advance her career, and sort out her love life, Copper stirs up a world of trouble. 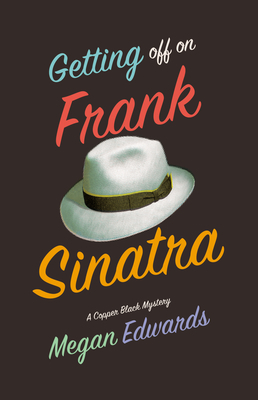 Her escapades as she evades a sociopath and a suspicious homicide detective make Megan Edwards' rousing debut Getting Off on Frank Sinatra a nonstop roller coaster of a read.